First, they brought The Lion King to the crosswalk, and now they’re bringing Peter Rabbit to the big screen: James Corden and Rose Byrne are on board for a part CG-animation (the rabbit part, if Vulture was a betting man), part live-action adaptation of the classic children’s book stories. 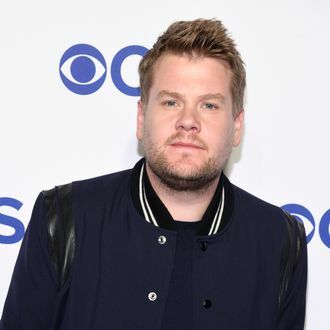 Corden, who hasn’t stepped away from his Late Late Show duties for a film role since going Into the Woods, will take on another woodland role, voicing Peter Rabbit, while Byrne is nearing a deal to appear in the flesh as an unspecified character. Will Gluck will direct what Variety says is a “modern interpretation” of the Beatrix Potter stories about the rivalry between the titular rabbit and Mr. McGregor. However this thing turns out, it’s gotta be better than Hop, right?